Italian police recently arrested three men in Catania on the eastern coast of Sicily and charged them with attempting to smuggle 200 endangered exotic birds out of Sicily to Malta. Two of the suspects are Italian and the third is a Maltese truck driver. Reports from Italy say the police confiscated 200 birds, mainly small species worth more than 1000 euros in total. 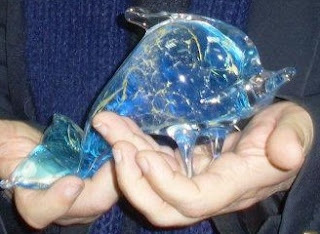 Once the men had been charged the birds were handed over to a wildlife rescue centre in Sicily. In due course they will be released in a wildlife refuge. It’s a well known fact that in the past a lot of song bird species were illegally imported from Sicily, Tunisia and the UK. Such species are mainly used as decoys on trapping sites during the trapping season. Since trapping for song birds in Malta is restricted to a number of species, such birds are in great demand. According to the investigators, these species are sold illegally in Malta, with prices varying from 180 euros to 350 euros each. 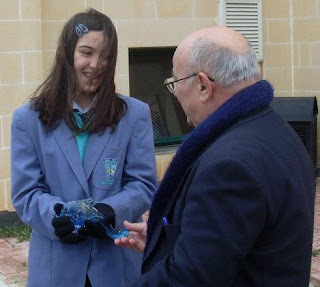 This year’s IAR Malta animal welfare award went to Shauna Vassallo, an eleven year old student from St Thomas More College at Santa Lucija, Malta. As well as being an animal welfare campaigner, Shauna is also a singer. She has successfully participated in local festivals with her song ‘Fejn’ which is about the suffering of abandoned animals. During 2011 Shauna also participated in a number of protests in Malta to raise awareness of animal issues. At the beginning and end of the protests Shauna would reinforce the message by singing her song. On one occasion she insisted on taking part, even though she was feeling unwell. IAR Malta picked Shauna from a shortlist of four and notified the headmistress of her school that one of her students was the winner. The award was presented at the school which helped to raise even greater awareness among the pupils. It came as a complete surprise to Shauna when the headmistress called her out during morning assembly in front of 600 students and all the teachers. When she found out that she had won the award, Shauna reacted with joy and disbelief! 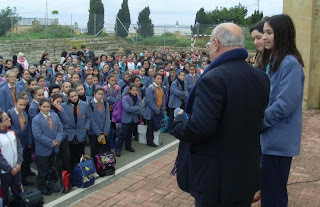 IAR Malta Chairman Max Farrugia explained to all those present the purpose of the award and explained that Shauna had been awarded the trophy for her constant support for animal rights in Malta by singing and participating in local events, two of which had been organised by WEEACE (Malta) (World Events to End Animal Cruelty) and also for promoting animal awareness among her school mates and friends. After the presentation Shauna sang a piece of her beautiful song Fejn. When asked what the award meant to her, she said that she had never expected anything for the modest amount she does to promote animal welfare. She added that it was a very special award and she would treasure it all her life. Whilst out walking in the cold sunny weather in Bugibba, a British tourist from Devon came across a pipistrelle bat lying on the pavement. 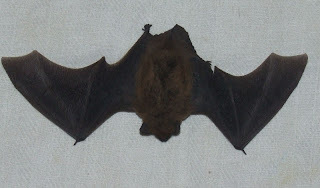 It isn’t normal for a bat to be found on the ground, in daylight. The tourist, Mr Andrew Bessford, picked up the bat, put it in a warm piece of cloth and took it with him to his hotel. With the help of the receptionist at the hotel Mr Bessford found out about International Animal Rescue in Malta and travelled all the way from Bugibba to our centre in Hamrun to bring us the bat. Luckily the bat is in good condition. We’ll keep it under observation for a few days and then release it in an area where we know there are similar species. Bats are nocturnal and the chances are that someone disturbed this bat in his daytime habitat. If it wasn’t for Mr Bessford the bat would certainly have died, mainly owing to the lack of food in the area and also as a result of the weather. Mr J J Borg, Chairperson of the Malta Bats Society, says that the small species of bats - of which we have four in Malta - appear to be stable in number, although bats in general are still threatened. According to Mr Borg some hunters still shoot these mammals in the Girgenti and Lunzjata Valley. A problem which is also threatening these bats is the restoration of bastions, chapels found in rural churches and other old buildings. I would like to personally thank Mr Bessford for bringing the bat to us and also for rescuing and reporting a baby rabbit he also found whilst out walking. If any tourists find animals in need whilst in Malta or spot any illegal wildlife activity we ask that they call our 24 hour emergency helpline on +356 (0) 994 71212.